Around three years ago, my friends and I all started to migrate up to London from Kent as we began to find gainful employment. Apart from point 1 (I just yesterday spent five hours trying to take West Ham to the Europa League, only to be unceremoniously sacked after my final home defeat to Man City), I don’t take part in any of these activities anymore. Why would I do point 2, when I could drink at a house, bar or legally in a decent open space? If you can find me somewhere that sells £1 pints in London, I’d happily do point 3. Point 4, we can never seem to find the time for our marathon 24 hour sessions. Point 5, well SOS is awful. And we of course knew that back then as well. And yet, at the time of each of these I could not imagine there being a better or more important way to spend my time. I suppose that is just part of growing up. 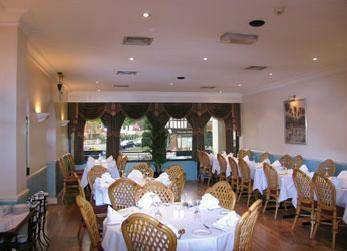 We’ve seen more than our fair share of curry house come and go in Sevenoaks over the years. My earliest memories of a mouthful of Korma came from the Asia Cuisine, a cracking little place that we frequented for many years. It eventually became Oaks Spice and slipped into the background, at least for my family. I’ll always remember ordering a curry for the first time with my friends, rather than parents. I would put it down to one of those understated moments in life when the penny drops that your family way of life may not be the only way of doing things as your friend starts to confidently order a Sheekh Kebab to precede a main course. As if settling down to a normal meal. You may agree with either (or neither) of these methods but I would put forward that these types of disputes is what makes a curry great. In my opinion, its a communal and shared experience above and beyond any other meal. And if its not the food, its the passionate debate over which curry house reigns supreme. Evidently in Sevenoaks, it is the Raj Bari with its quirky staff, Celine Dion pan-pipe music, gaudy fish tank and delicious Xacuti. 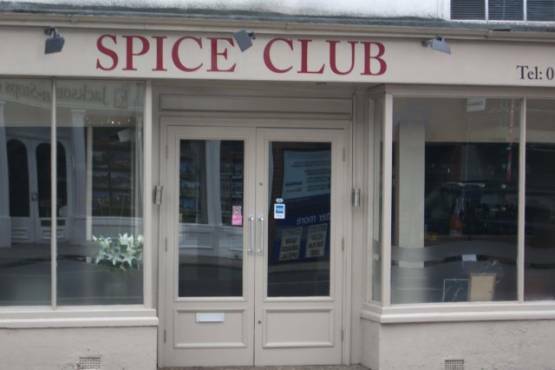 However, some plebs might argue for the Spice Club with its swanky interior, impersonal service but (I will concede) very, very good food. I digress though. Back to the point of this article, it became clear that on moving to London we had lost the nuclei of our curry universes. With that, not only did we lose the great food but also a time that was often carved out for us to sit around and properly catch up over a meal, rather than in an increasingly blurry evening out at a bar or club. I upload now the first season’s (11-12) write ups. Please note that nearly all of these were written on a squalid hangover and may be a little peculiar. We were a bit lapse in 12-13, but will be returning for our inaugural Curry Club Winter Formal in early December. Black tie mandatory, of course.